What I love most about Smokehouse Deli (apart from the Baconater Burger, the Liver Pate and the Spiced Pork Ribs) is how they focus as much on their bar menu as they do on their food menu. Every cafe and restaurant worth its salt prides themselves on doing seasonal menus with dishes made from locally sourced produce and seasonally grown vegetables and so does Smokehouse but where they truly up the ante is when they do the same at the bar. From all the Smokehouse Deli's in the city my most favourite has got to be the one at Connaught Place, it's not as big as the one at the mall but it's the prettiest. The nostalgia factor is high with chic graffiti style artwork that chronicles the history of a location like CP. There's a definitive vintage vibe that makes you feel like you're at a quaint European cafe and there's probably a convertible parked out front with the top down and the breeze is always cool, every day! Coming back to the bar, I am happy to announce that they're out with a spring bar menu of cocktails that tastes just like spring should, fruity, floral, sweet and light! The cocktails have punny names (pun intended!!) and over my two visits, I had the pleasure of tasting them all. Start with Peach’d to Meet You, a Ciroc vodka cocktail with dried apricots, peach schnapps, lavender and blueberries. If that sounds good, then there is the Paradise Punch with Ciroc, peach schnapps, pomegranate, strawberry chunks and lavender, I'm not big on floral flavours but it's the peach schnapps that really makes this one work. For a more aromatic spirit, they have the It’s Mint to Be, Gin infused with elderflower and mint, or the Springtime Blush with Aperol, Cointreau, lavender, elderflower, passion fruit and grapefruit. The last two honour those who enjoy darker spirits, as I do, the Avo Great Day is a combination of Jack Daniels, Avocado and Peach Schnapps and Once Upon a Thyme combines Monkey Shoulder with Drambuie, smoked thyme and orange bitters. 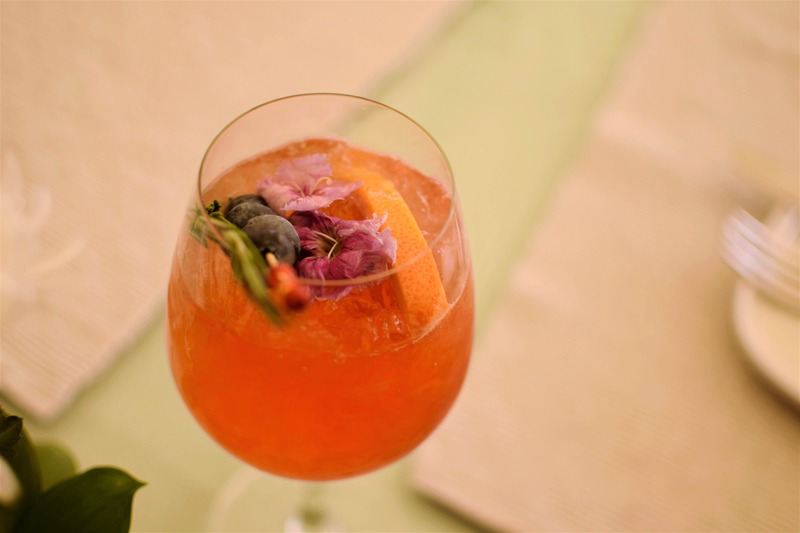 The whole herb, fruit, flower play is what an ideal cocktail menu is all about, it's the perfect welcome to a scorching summer! A few more summer spirits would make this menu even more perfect!